There are a lot of different ethnic restaurants in Yangon, making it easy to find Shan, Mon, Rakhine and Chin foods. I recently made a rarer discovery, a restaurant selling Wa food. Called Root Kitchen, it has been introducing Yangon residents to the food from upper Myanmar for two years from its location on Bo Myat Tun Road. Root Kitchen serves traditional Wa food from the northern part of Shan State. Most of the ingredients as well as the tealeaves and traditional Wa liquor come directly from the Wa region, a two-day journey from Yangon. Root Kitchen is the mission of three ethnic Wa including two sisters, Ipkaw Pang and Phyone Poung Yon. “I was working in Singapore and when I arrived back in Yangon I didn’t see anything that was representative of Wa culture. So, I thought I should do something for our ethnic group and find a way to educate other people about us. And, I decided to use food,” said Ipkaw Pang of her modern little restaurant. Root Kitchen opened its doors in the lower part of Bo Myat Tun Road in 2016. The restaurant’s signboard is a bit small, so you need to look for it carefully. When I visited, it was already after lunchtime at around 3pm but there were still a few tables of guests. A big timber and driftwood table stood just inside the entrance. Cushion covers feature Wa traditional textile designs. The walls are decorated with Wa musical instruments, traditional fabric weavings in bamboo frames and a bull’s head. “As you see, we decorated the shop with bits of Wa culture but not too much. We just added a twist to the modern decorations to keep it comfortable,” Phyone Poung Yon said. 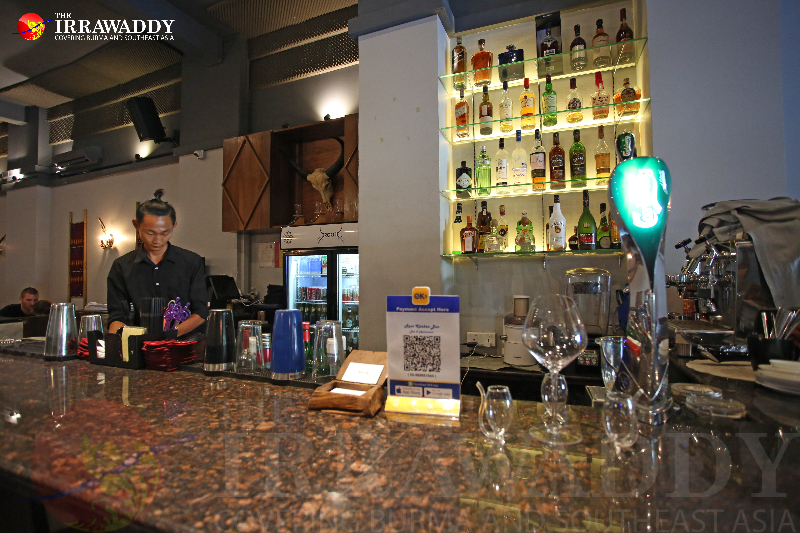 With the subdued lighting and soft music playing in the background, the restaurant has a warm vibe. A little book is placed on every table that includes an introduction about the Wa people, their traditional dishes and the ingredients used as well as details on where they come from. It also lists the food available at the restaurant. A traditional Wa dish is Moik, which comes in three kinds: dry, wet and soupy. Root Kitchen offers only the wet style. “We think people will easily accept the wet type because it’s not too dry and not too wet. So, it will be OK for people tasting it for the first time,” Ipkaw Pang said. Moik is like a soup or stew cooked with a strain of brown rice that comes from the sisters’ hometown in Wa, and which, they said, is essential for cooking Moik properly. 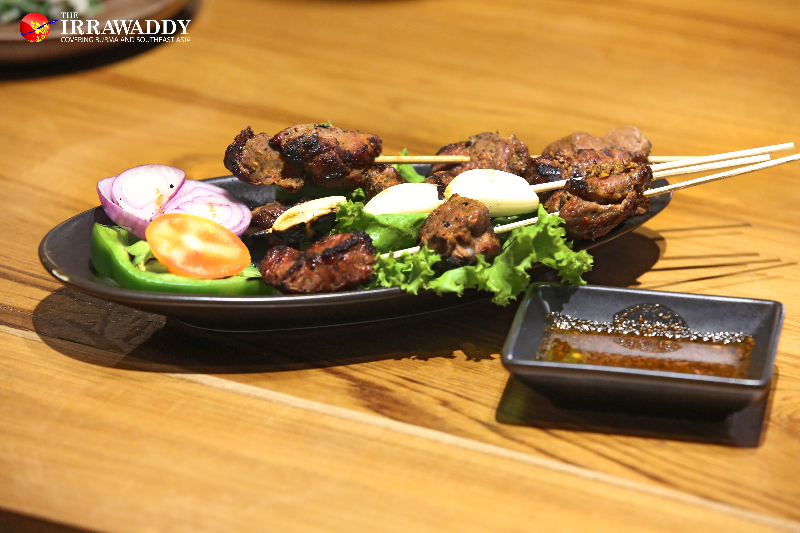 The Wa dishes offered on the menu are mainly boiled, grilled, or come in the form of a salad and many are spicy. Most of the dishes also claim to provide health benefits. “Usually, Wa people live in mountainous areas. So, when they go into the jungle to hunt, they also pick herbs. 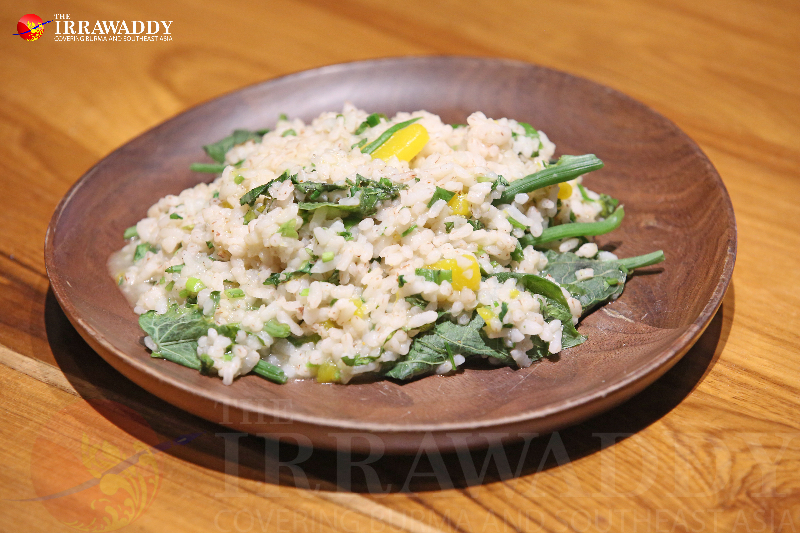 Then, they put everything together in the meal and cook it with brown rice,” Phyone Poung Yon explained. I opted for their popular ‘Pumpkin Moik’ (3000 kyats), and could taste the freshness of the pumpkin and pumpkin leaves. It was not very wet, nor very dry, while the brown rice was soft and overall it was very tasty. I tried another hot item, ‘Spicy Chicken and Glass Noodles’, which came in a large portion that was too much for two people. It was a spicy soup and a bit oily but the taste leaves you craving more. 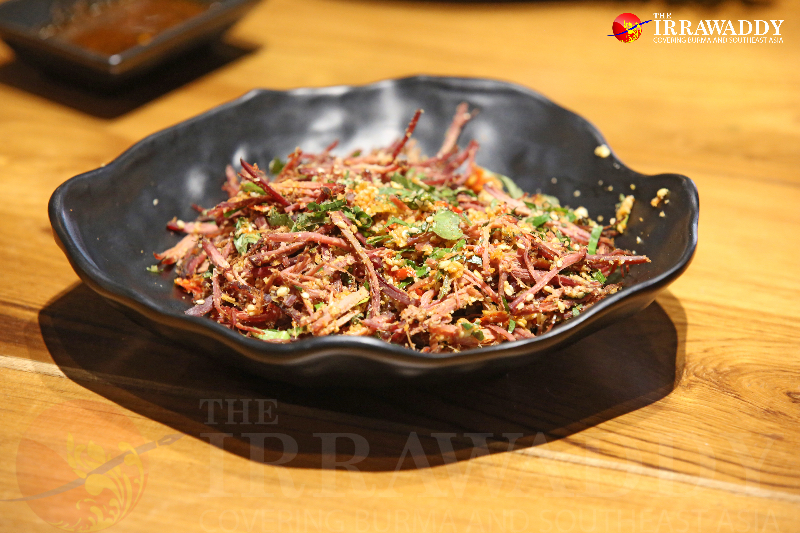 The item my companion and I liked the most was ‘Smoked Beef Salad’ (8000 kyat), which we fully recommend trying. First, they put the beef out in the sun to dry, and then smoke it. Then, they stretch the smoked beef into small strips. Finally, they make mix it in a salad with chili. Among the grilled items, I tried ‘Lamb Chop’ (11,000 kyat), which included three pieces on three bones. The meat was so soft and had a strong aroma of charcoal because of the way it was grilled. That makes the meal special, and I recommend that one too. There is a great variety to choose from on the menu and staff is helpful and friendly. If you want to know about of a particular item’s ingredients, just ask and they are happy to explain. Root Kitchen offers Wa food that is quite different from the usual Myanmar fare you can get in Yangon. Most of the dishes are spicy but the particularly hot ones are marked with a small chili icon on the menu. You can also tell the waiter whether you want it to be more spicy or less. The cocktail menu offers “Root Specials” mixed with Wa liquor such as Root-O-Tea, Wa Tang Clan, Wajito and so on. They also have fresh juices and several varieties of coffee. (The drink prices range from 2000-7,000 kyat). The chef at Root Kitchen is not Wa, but he has been trained by the owners and can cook Wa foods very well, Ipkaw Pang said. “There’ll be a new chef joining us in the coming month. So, there’ll be a new menu that will come with him,” she added. So, if you are a foodaholic and want to try some new ethnic foods, Root Kitchen is a worthy place to chill. I recommended it for all visitors.